The month of May has finally arrived, which means we have approached sea turtle nesting season! Sea turtles nest, or lay eggs, from May through September. 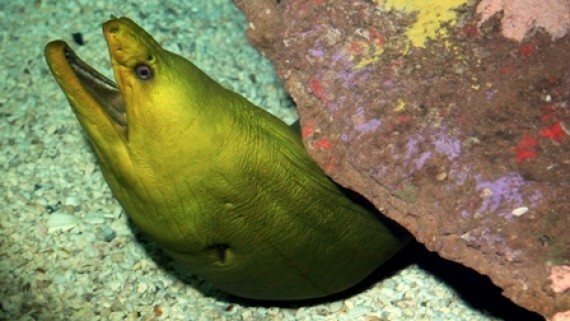 Their peak nesting activity takes place in June and July. We have already had four sea turtle mothers come up onto our beaches looking to nest. However, for some unknown reason, they did not decide to lay their eggs. Instead the turtles turned around and returned back into the ocean. This is called a “false crawl” and it happens often. 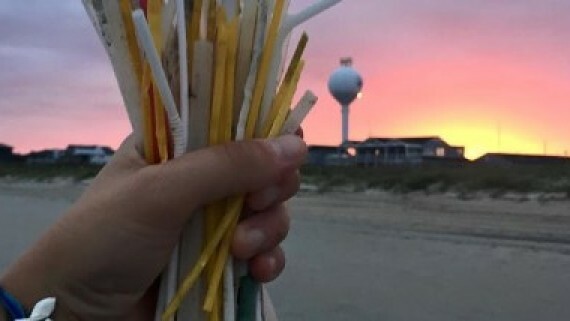 North Carolina had two false crawls on Holden Beach, one on Cape Hatteras, and one on Cape Lookout this past week and a half. Scientists are not sure why some sea turtles make false crawls. It could be a number of different reasons like an animal scared it or loud people disturbed it. 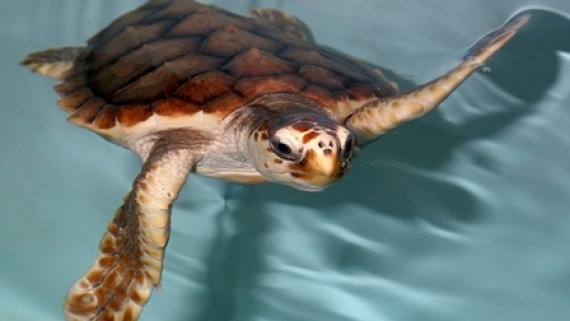 Sea turtles can also bump into toys or sand castles left behind on the beach become confused. Sea turtles not only use the moon to help guide them to the ocean when they hatch from their eggs, but the mothers also use the moon for light cues to give them direction when they lay their eggs. When lights are left on from beach houses and businesses, this can mess up a sea turtle’s sense of direction, sending them back into the ocean without laying eggs. 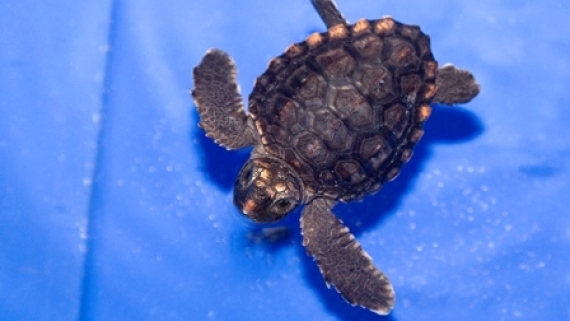 Another topic covered in last week’s post was how beach nourishment affects nesting sea turtles. We learned that the texture of sand from nourished beaches may feel clumpier than regular sand, like mud or clay. This sand consistency could make it harder for a mother to dig her nest, ending up in a false crawl. 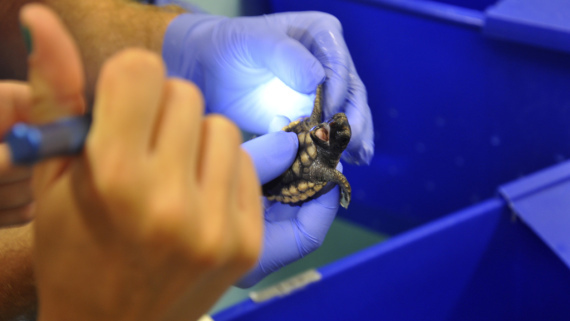 Last year, North Carolina had 565 sea turtle nests on its beaches. North Carolina also had 612 false crawls last year! 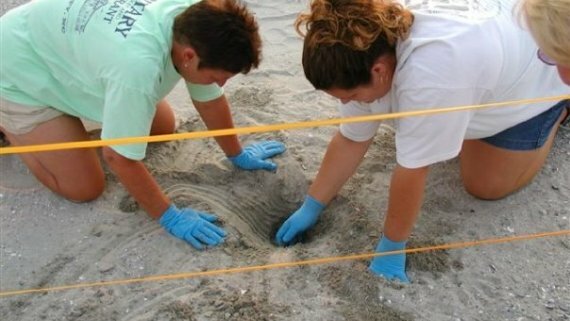 Click here if you’d like to check out last year’s sea turtle nest data. Keep up with this year’s data by clicking here. As we dive into sea turtle nesting season, please remember our easy Beach Etiquette tips to help sea turtle mothers. Remember not to disturb any turtles on the shore, pick up after yourself when you leave the beach (knock down castles and cover holes), and to turn off any lights. 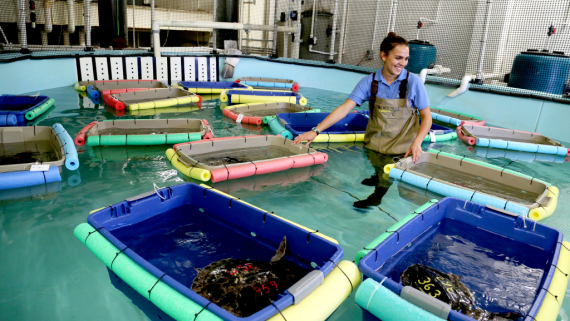 If you’d like to connect sea turtle nesting with math in the class room check our Egg Laying lesson plan! As we move into spring, our hatchlings are continuing to grow! This week Turtle A is 929 grams and 18.7 cm long. Turtle B is 1028 grams and 14.4 cm long. For more information on what to do with those numbers, please check out our lesson: Hatchling to Yearling. Welcome to the Aquarium, Baby Turtles!